One of the best ways to save on school supplies is to keep a stockpile of things on hand. Whenever the school sales begin, buy a few extra packs of pencils, notebooks, and crayons. This way, you can easily re-stock your child’s supplies during the year. Clothing is often one of the largest expenses when it comes to back-to-school shopping. Instead of going to the department stores, check your local thrift store. You may be able to find some great quality, barely-used clothing for just a few dollars apiece. You may even find some things for kids who wear uniforms to school. However, try to visit the stores earlier in the summer, because the stock may be picked over by the time it gets close to the beginning of school. Another way to save is to swap supplies with friends. If you hit a sale on binders, for example, see if you can trade some for other things that your friends may have on hand. Before hitting up the big box stores with your back to school list, check out the dollar stores in your area. You can find almost everything you will need for very little out of pocket. Dry erase markers, boxes of tissue, lunch box items, and planners are some great things to get at dollar stores. 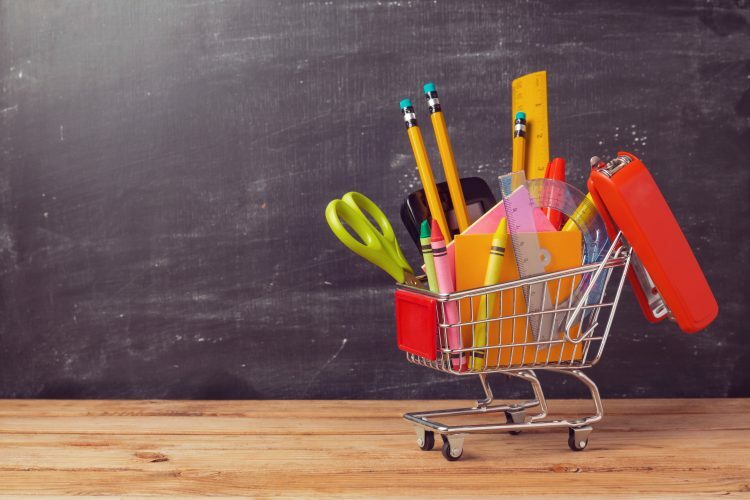 Wait to check the sales at the bigger stores before you buy any notebooks, paper, crayons, and markers, as these items are often less expensive during the back-to-school sales. When you are shopping, stick to the list and only buy what you have to. While the sparkly binder may be something your daughter wants, do not purchase it unless she actually needs a binder. While it can be tempting to go ahead and get your school items as soon as possible to avoid the back-to-school rush, hold off as long as possible. Not only will you be able to take advantage of the great sales, you also avoid buying something that your child may not like once it is time to start school. If your son really wants a lunchbox with puppies on it at the beginning of summer, he may decide that he is too old for it by the time school begins. You also can save by avoiding the trendy supplies. Glittery pencils, binders with cars on it, and other items are fun, but they are also expensive. Stick to the basics, but consider letting the kids pick one inexpensive school item of their choice, such as a notebook or a fun ruler. There is no rule saying you have to purchase brand new items every school year. Scissors, rulers, coloring boxes, and backpacks can be used for more than one school year if they are still in good shape. When it is time to go back to school, begin planning for school lunches right away. This will prevent any unnecessary last-minute grocery purchases. Plan out what the kids are going to eat each day and plan accordingly. Bake a batch of cookies, cut up carrot sticks, and make some sandwiches for the refrigerator each week. This way, you have everything ready to go for the school week. Since children are often attracted to the brightly colored school supplies, consider letting them decorate their own. Let them add some inexpensive decals to binders, add patches to backpacks, color notebook covers, and so on. This way, the kids have something different that they had a hand in making themselves.